The Roth’s, who included Dave’s parents, Dr. Nathan and Sybil and sisters Lisa and Allison, moved around quite a bit. First to New Castle, IN, then to Swampscott, MA, then to Brookline, MA, before settling in the Los Angeles area in 1963. Dave was expelled from his junior High School for fighting and attended the Webb School for Boys for one semester. He then attended John Muuir High School. It was at this time that he began his lifelong karate disciplines. Dave’s fist big band was the Red Ball Jets. It was in this band that he developed his stage persona known as “Diamond Dave.” His influences at the time included the Beach Boys, The Beatles, and The Rolling Stones, among many others. He attended Pasadena Community College for a while, where the Van Halen brothers were also studying music theory, and took to the piano and saxophone. His father was in the Air Force and later became an eye surgeon. It was his father’s eventual success in his trade that allowed the rehearsal space in the Roth home that Van Halen used to write many of their first songs. Despite this, the band was never given anything they didn’t earn. Dave learned the value of a dollar the hard way working in Pasadena Stables and as a janitor in a hospital. By graduation of high school, Ed and Alex had formed a three piece band called “Mammoth” with a bass player named Mark Stone. 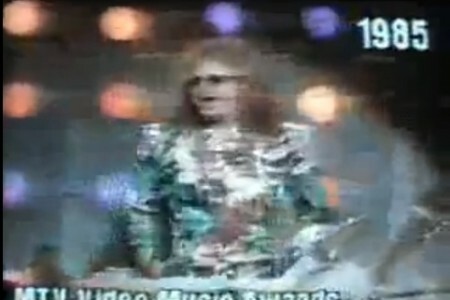 Eddie had to sing lead and they rented their P.A. system for $35 a night from Dave, even though they were only getting about $50 a gig. 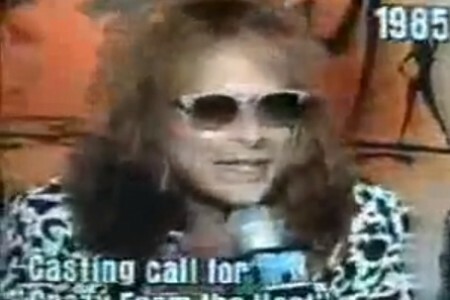 Around a year later, David Lee Roth had been asked to join the band because Ed hated to sing lead and they figured it would be cheaper not having to rent the P.A. from him. 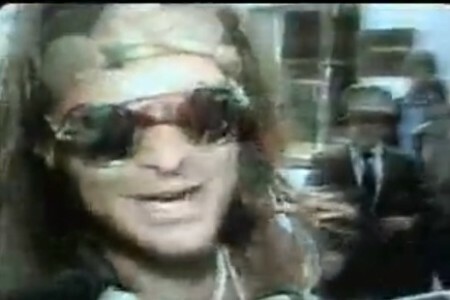 The band’s name was also changed to “Van Halen” at Roth’s suggestion. 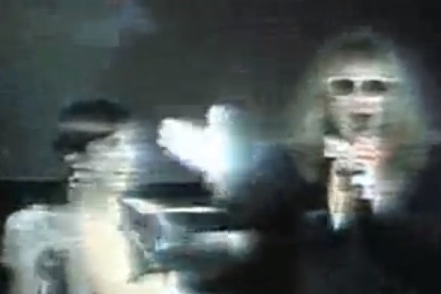 When Dave joined Van Halen, he applied his philosophies about the danceability of rock music. Simply put, if a song didn’t make you want to get up and dance, it was taken off the set list. There’s no doubt that the party attitude of the band through their first 12 years was mainly attributed to Dave. 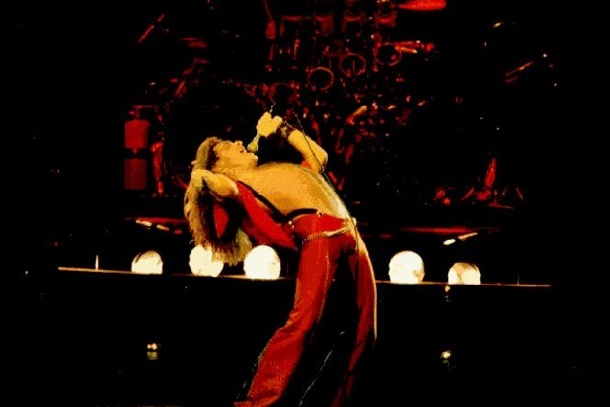 On the first few albums, Dave concentrated on his vocals and kept the parties mostly on stage and on the road. Beginning with Women and Children First, though, he brought the party to the albums. His philosophy here was say and do anything on the albums to convey and attitude, whether it meant mumbling the lyrics or picking up the harmonica. During concerts he started to rely heavily on funny and provocative phrases and stories that always kept the crowd either laughing or cheering. 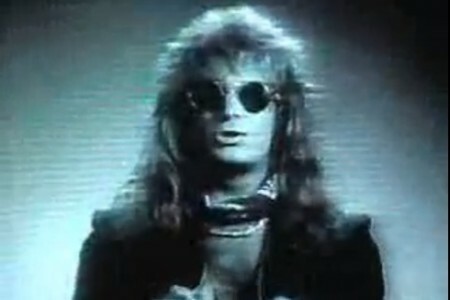 In early 1985 Dave recorded an EP and began work on a movie. 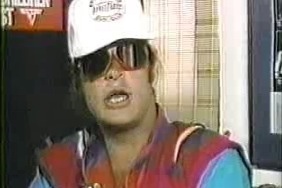 His hopes for further entertaining the world were a bit too ambitious for the rest of Van Halen, so on April Fools Day 1985 Dave announced he had left the band. Dave returned to the band in 1996 to record two new songs for Best of Volume 1. What resulted was an ugly sequence of events that continues to be disputed. 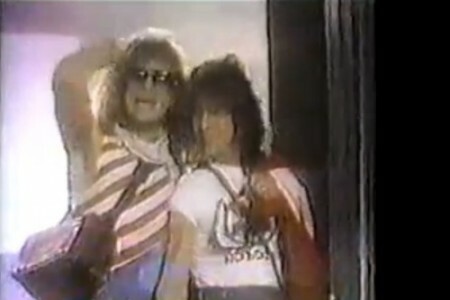 The reason is partly due to the direct contradictions in the stories of Van Halen and Dave. Again Dave was out on his own. He wrote his autobiography and recorded a new solo album to good reviews. 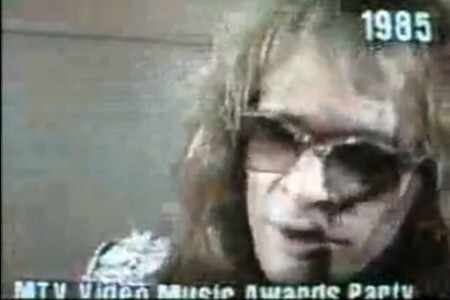 In 2000 Dave secretly returned to Van Halen and recorded three new songs. Dave announced this on his website in April 2001 and said he hadn’t been in touch with the band since July 2000. Fast forward to 2007 and Dave rejoins the band for a tour but no new music. The “reunion” did not include bassist Michael Anthony but did include Wolfgang Van Halen. The tour was a huge success but the band never did record a new album or tour until they came out with the critically acclaimed A Different Kind of Truth in 2012.